Vegan with a rich hazelnut scent and a deep chocolate flavor. Does not contain dairy products nor palm oil. 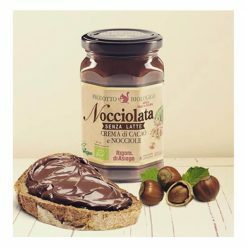 Nocciolata’s organic and vegan hazelnut chocolate spread is created by Rigoni Di Asiago, a leading company of organic foods in Italy. This chocolate spread is vegan and is dairy-free. 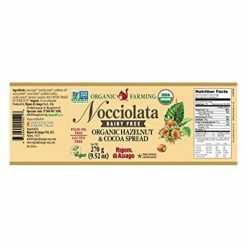 Organic hazelnuts are used as the traditional recipe of Rigoni Di Asiago dictates. 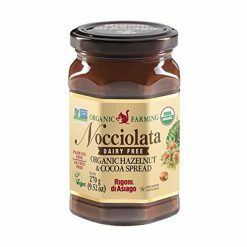 Nocciolata’s organic and vegan hazelnut chocolate spread is the perfect choice for people who are lactose intolerant, those who have milk allergies or those who follow a vegan diet.